Love going to the movie theater? Don’t forget, you can Text AMC to 242424 and get a coupon for a Large popcorn for $1! If you are looking for a fun date night idea, then make sure to grab your coupon and head to your local AMC theater. 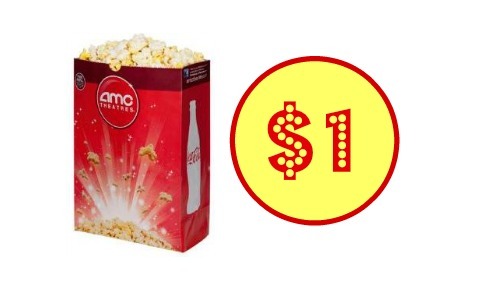 For even better date night savings, pick a matinee movie and enjoy your $1 popcorn. See more frugal date night ideas.